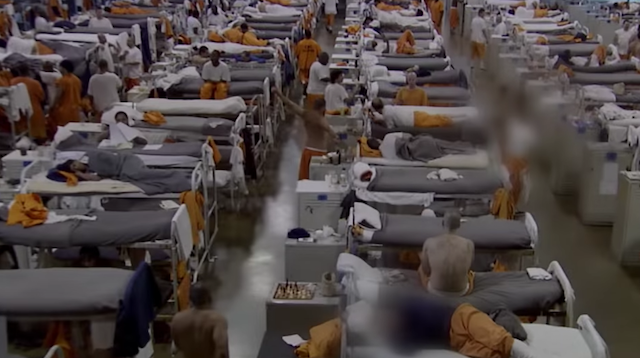 In this surprise documentary from Ava DuVernay – literally, it arrived out of nowhere – the director wants to make us angry. To rile us up, impassion change, and to move feet gridlocked in a lateral stance to a gate willing to take a step forward. And that’s what we mostly get from 13th, an unabashedly biased and informative piece of racially slanted deconstructive journalism. 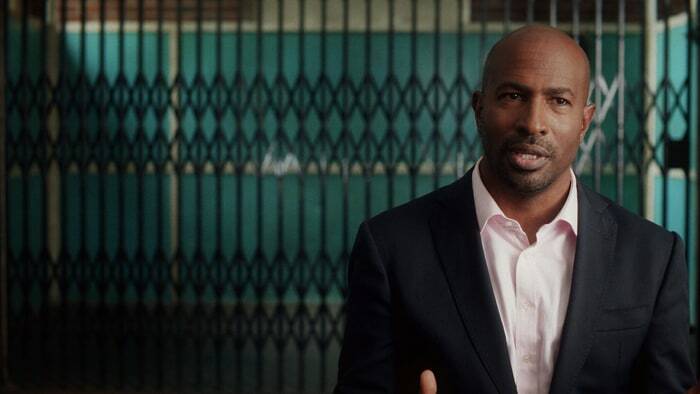 While this doc is so fast and slightly flawed that it at times becomes far too fractional, DuVernay’s film still bears an undeniable value to the viewer, as well as the rare distinction of material demanding a second viewing to thoroughly contemplate and absorb. 13th’s suggestive reasoning becomes both sweeping in reach and intimate in scope, detailing maddening observations of social injustice. It seems the damning waters of inequity and racism have been left to run freely, and Duvernay delivers blow after blow as to why the gates might still be open. Most people will emotionally react to 13th without being able to rationally respond. You actually benefit from the Netflix experience. I for one probably stretched the 100 minutes into 3 hours my first time through. A pause here to define a word, another there to research an acrimonious argument against the powers that be. This level of intelligence requires an effort from us. Whether its argument is pernicious or injurious or indignant, the film runs to the thesaurus and brings back a list of synonyms for two leading concepts: criminality and fear. DuVernay’s approach is all in, decisively one-sided, and told with a powerful affront. She’s formulated a proof and stands by its validity. As a film, compromise would have made its effect stronger. But as cold hard fact, these truths cannot be pacified. 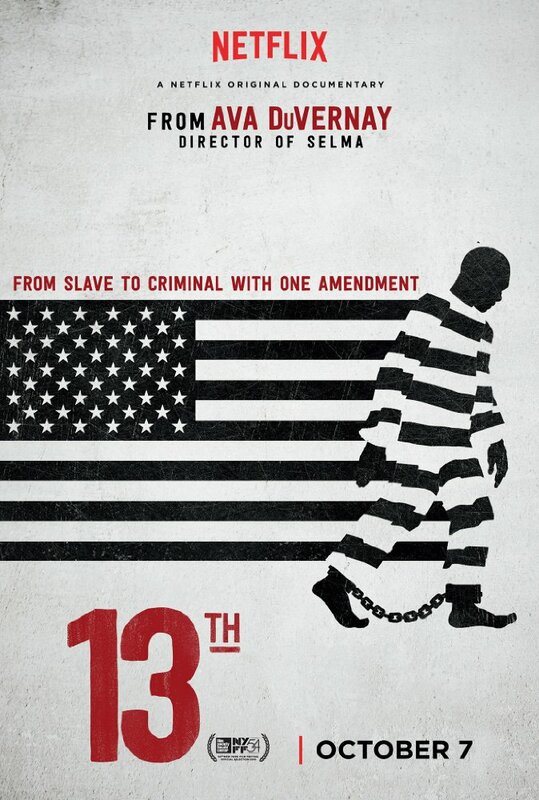 The title is in reference to the 13th Amendment ratified in 1865. It was at this point when slaves were constitutionally deemed free, but there’s a catch. Slavery is permissible for those who commit crimes. And so what occurs in the divisive post Civil War climate? 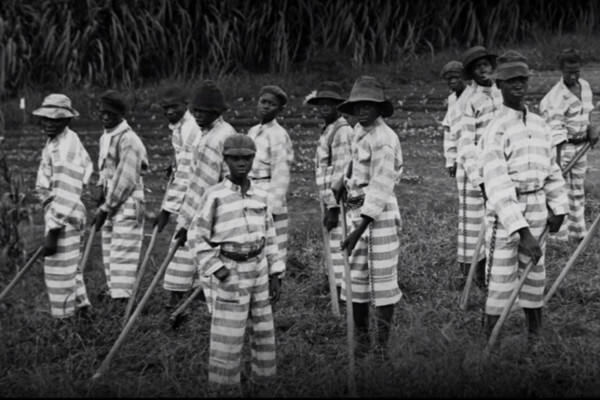 Mass incarceration of blacks by petty acts like loitering and vagrancy, leaving an entire community of indentured servants to be redefined and reborn as criminals. 13th is at its best during moments of deep, critical scrutiny. What’s frustrating about the film is the semantic approach politicians and social leaders are seen to employ time and time again. Similar to the effects of the 13th Amendment, minority groups continue to suffer dehumanization from above as well as from lowly slander. We revisit this phenomenon decade by decade starting near the Civil Rights Movement and ending in our modern-day prison enslavement. If the definition of insanity is repeating the same action but expecting a different result, then the culprit behind this institutionalized discrimination must be the ever-changing etymological hate at its core. 13th does not shy away from this statement. Unlike bonafide propagandist Dinesh D’Souza, whose films – and the GOP platform – rely entirely on fear and dread, DuVernay imbues empathy. Neither major party goes unscathed either. There are the expected and deserved comparisons of Trump’s early rallies to the dog-whistle politics of the Nixon and Reagan firehosing eras. Clinton is just as guilty of these actions, and in her husband’s case, most deserving of blame for skyrocketing incarceration rates. Yet for some reason, it’s just hard to surrender to the film’s overwhelming power when you consider its method. These interviews have clearly been rehearsed to some degree, and the editing binds together so smoothly that we can tell parts were fed from a script. That’s understandable, especially given the film’s vast array of topics, but to present the counter arguments as incompetent and scattered dissipates the entire point of fair debate. DuVernary doesn’t doll out culpability with this censure; she presents it at the table family style, meant to be passed around and shared by us all. 13th shocks and awes and cuts deep with a scythe, mistakenly choosing to end its sorrowful song without a fermata. Again, the choice fits the story, reassuring that this tale is not finite or even close to over. This is one of the year’s most important movies, but I can only imagine the result had it finished with a sledgehammer instead of a fly swatter.